Is Coffee Bad for You—or a Potential Cancer Fighting Tool? Is Coffee Bad for You—or a Potential Cancer-Fighting Tool? Are you a daily coffee drinker? Have you ever wondered, “is coffee bad for you?” If you're worried that your coffee habit might be detrimental to your health, think again; coffee can help lower your risk for certain cancers. It's a frequently asked question these days: Is coffee bad for you? Fortunately for the legions who start the day with a cup or two, coffee is known for a host of health benefits. Coffee has certainly had its fair share of negative attention. Many people who drink coffee do so with the feeling that their habit is a guilty pleasure, one they should probably cut back on. But is coffee bad for you after all? Not so fast. We recently reported on how drinking coffee might help tinnitus, as well as how it can lower your risk for Alzheimer’s disease. You might be surprised (and pleased) to learn that coffee can also lower your risk for certain types of cancers. Melanoma. The Journal of the National Cancer Institute published a study that found that people who drank four or more cups of coffee per day had a 20 percent lower risk of malignant melanoma, a deadly form of skin cancer. The association was only true for caffeinated coffee, not decaf. Prostate cancer. One review of numerous studies concluded that men who drink four to five cups of coffee per day may have up to a 14 percent lower risk of prostate cancer compared to those who drink less than one cup per day. 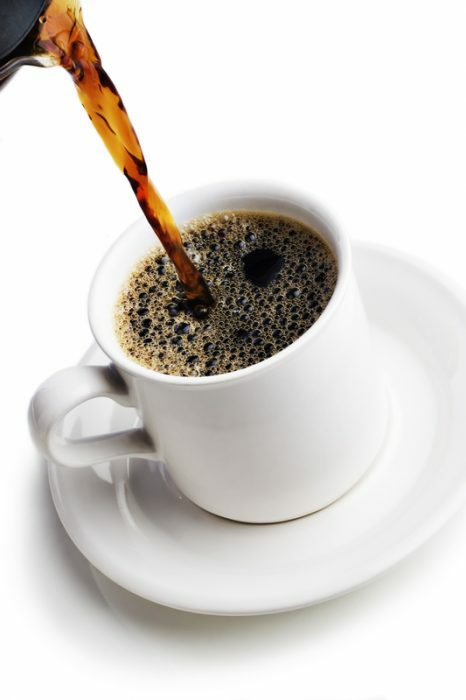 Another study found that men who drank at least one cup of coffee per day before diagnosis had a 56 percent reduction in risk of recurrence or progression of their prostate cancer later on. Men who drank more than four cups per day had a 59 percent reduction in risk. Liver cancer. 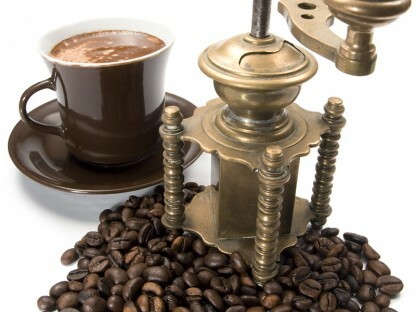 Numerous studies have consistently found that coffee can protect against liver cancer. Colorectal cancer. Higher coffee intake is also associated with a lower risk of colorectal cancer. Although researchers don’t yet know the full story, coffee seems to have numerous qualities that help fight and protect against cancer. For starters, coffee is full of antioxidants. In fact, coffee may be one of the biggest contributors to dietary antioxidant intake, because it is so widely consumed and is such a rich source of these health-promoting compounds. This antioxidant capacity, along with other qualities, allows coffee to help protect from oxidative damage, which contributes to cancer. Studies have also shown that coffee might help prevent cancer by regulating genes involved in DNA repair, detoxification and more. It also can help induce cell death in tumor cells, fight inflammation, prevent formation of new blood supply to tumors, and help stop metastasis. For you coffee drinkers out there, this is good news worth celebrating: Cutting coffee out of your life is probably not necessary, or even the healthiest choice. You can now enjoy your morning cup of coffee, and maybe a few more throughout the day, with guilt-free pleasure. But this doesn’t mean you should go out and guzzle 10 cups a day. Drinking too much caffeine can cause sleep disruptions and other problems. Many studies show that simply drinking at least one cup of coffee per day can be effective, so there is no need to overdo it. Limit your intake to no more than three to five cups per day for best results. Do you drink coffee? Do you think coffee is bad for you, or do you see it as a healthy choice? Share your thoughts in the comments section below. Cancer Causes Control. 2014 May;25(5):591-604. Int J Clin Exp Med. 2014 Dec 15;7(12):5192-200.
after menopause, alzheimer, antioxidant, antioxidants, breast cancer, caffeine, cancer, cancer causes, cancers, coffee, colorectal, colorectal cancer, detoxification, estrogen, fight cancer, food, health, inflammation, is coffee bad for you, liver cancer, malignant melanoma, melanoma, metastasis, oxidative damage, Prostate, prostate cancer, risk of prostate cancer, skin, skin cancer, sleep, studies show, tinnitus, tumor. I do enjoy drinking two or three cups of coffee every day, always brewing each cup fresh using an unbleached paper filter in a cone, instead of making it by the pot or using instant “coffee.” I always lighten it with real cream or half-and-half, never any of that artificial stuff. I sweeten it with stevia instead of sugar or any of the artificial sweetener chemicals like aspartame or sucralose. I often enhance its health benefits with a teaspoon of cocoa powder and/or a dash of cinnamon. Finally, instead of mindlessly drinking cup after cup after cup of coffee all day the way I used to, I keep in mind the fact that whenever I’m drinking a cup of coffee, that means I am not enjoying a cup of something else that has other healthy stuff in it that coffee does not, like the EGCG in green tea of the gingerols in ginger tea; so I’ve replaced about two thirds of the coffee I used to drink with other hot brewed beverages. You have some great tips for enjoying coffee as part of a healthy lifestyle. I particularly like your idea of getting some variation into your diet by replacing a few cups of coffee each day with other healthy warm drinks, like green tea or ginger tea (which is personally one of my favorite teas). I think many people could benefit from that strategy – and it applies to other areas of the diet as well, not just coffee intake. 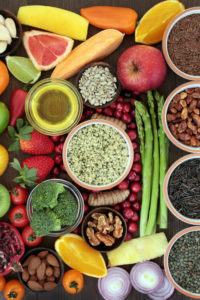 Mixing it up by eating a variety of different foods daily allows you to get the range of nutrients your body needs to stay healthy. I love stevia in my coffee too! I even tried the paleo coffee (with butter!) but I didn’t like it. I think I’ll stick to cream or coconut milk. I’m a fan of the French Press method. Since I’ve stopped keeping any sweeteners in my house, I can now enjoy a cup of coffee with just a little almond milk and whole milk to temper the acidity. I thought you might be interested in this article on https://universityhealthnews.com: Is Coffee Bad for You—or a Potential Cancer-Fighting Tool?